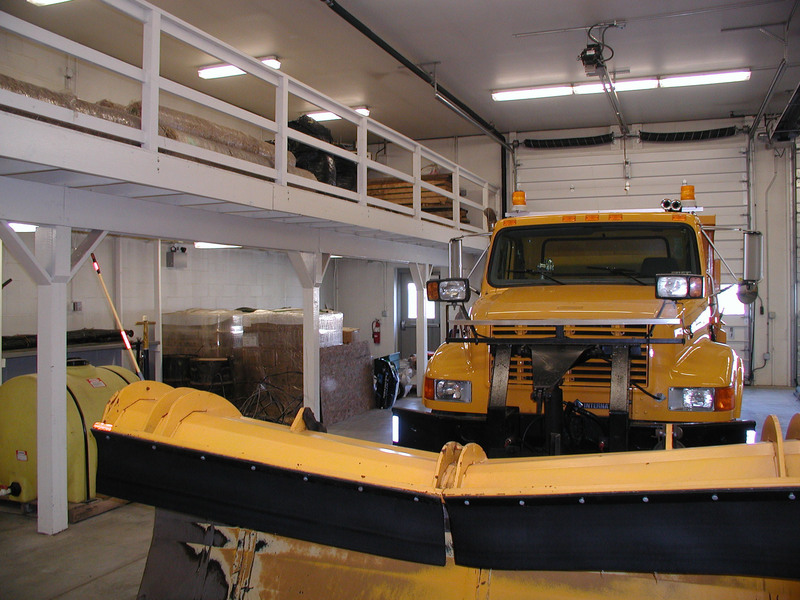 A new building was needed that would provide ample space for all township vehicles to be kept inside when not in use, which would make it easier to keep them in good working condition. The township also wanted to improve efficiency by re-thinking the functionality of an existing grouping of separate maintenance and storage buildings. Our team evaluated the site and existing buildings to develop the ideal solution within their budget and timeline. 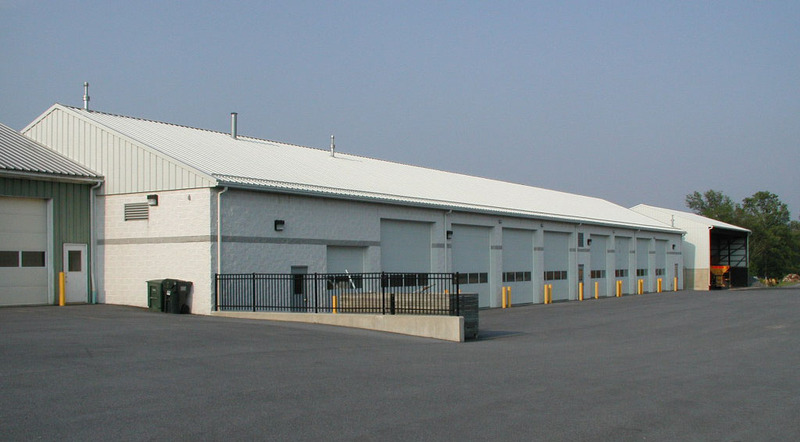 We moved an underutilized storage area to create a new eight-bay garage in its place. The new garage now connects two previously existing separate buildings and provides continuous access to all parts of the facility using indoor corridors, which improves efficiency and functionality for all the staff. The new truck bay and storage area includes ample space for current vehicles and provisions for more vehicle acquisition if needed. There is a convenient underbay storage area with additional space in a mezzanine above that makes practical use of the perimeter and high ceilings. 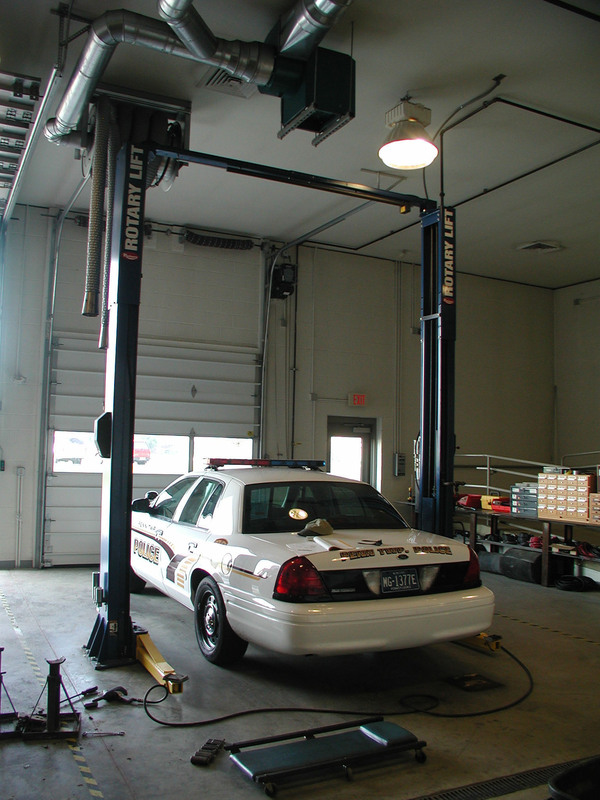 The maintenance bay located within the garage adds more efficiency for staff to repair and service the vehicles. Construction materials used in this part of the facility are all appropriate for damp and industrial environments, with a built-in vehicle exhaust evacuation system for worker safety. The new automobile service bay is adjacent to the office area, designed to increase access and productivity. An expanded, secure parts storage room is nearby in the primary area that is staffed and occupied on an ongoing basis. The same environmental and safety requirements are met in this part of the facility that are used in the truck bay area.